After the farm was swamped by flood water, Judith single-handedly had to rescue the animals throughout the night, and is now faced with high vet bills not covered by her insurance. Our Flood Appeal has been able to help cover some of the costs by awarding a grant to Judith in February. Karen Morris, of the Community Foundation for Lancashire, said: “The fund is about helping communities across Lancashire and filling needs that other funds can’t. “A little amount of money can make a huge difference. 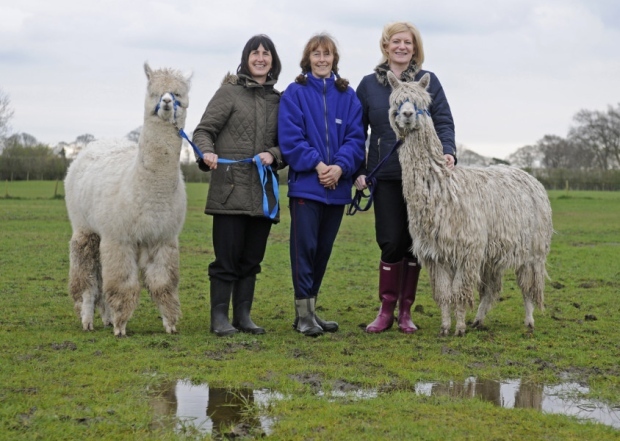 “At the alpaca farm we were able to help them back into a position where they can get back to some kind of normality. “It was very traumatic for the owners and had a real knock-on effect for the children who rely on it.